Once the thermal printer is installed (see previous post) if you have a till drawer plugged into the printer it will need to be configured to open the till after it prints. 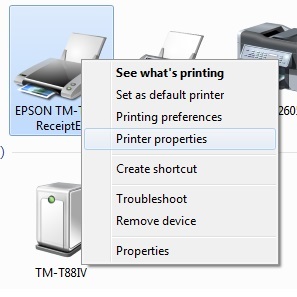 From the Start Menu, select Devices and Printers, right click on the TM-T88, select Printer properties. Select Preferences. 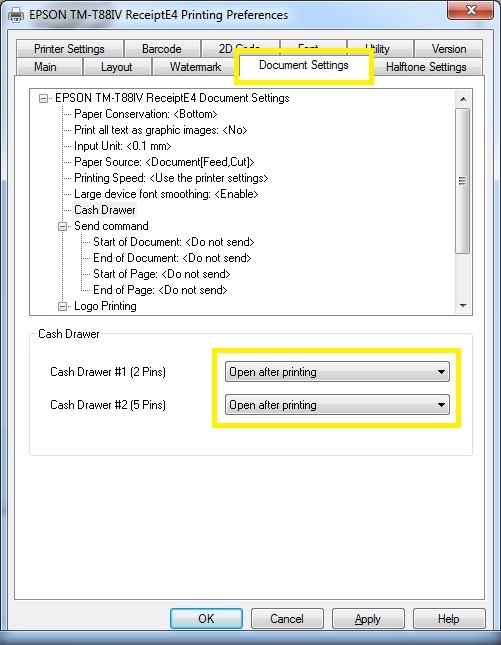 Select Document Settings tab. 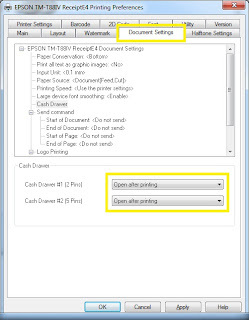 Select Cash Drawer, then set both options to Open after printing. Select OK.